Flowers should be harvested in the bud stage. Named for Pierre Magnol (1638-1715), French professor of botany and physician to Louis XIV and director of Montpellier Botanic Gardens, France. 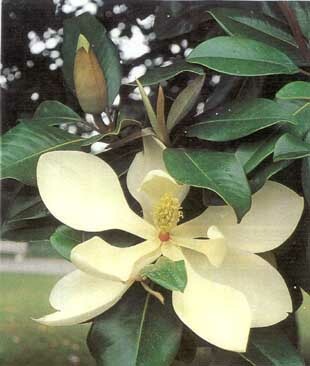 The specific epithet name grandiflora means large-flowered. Leaves are often colored rusty brown on the underside.